Ladies and gentlemen, the next generation of video game consoles is here! The Xbox 360 and PlayStation 3 had their long moments in the sun, but it’s time for us to move forward, with both the PlayStation 4 and Xbox One released into the loving and awaiting arms of gamers. In North America, Sony managed to beat Microsoft to market by a week, so we’ve had that console in our hands for a little longer. Could that extra week be the push Sony needed to take back the console lead in North America? Only time will tell. Sony is certainly no stranger to the video game market, after all the “4” in PS4 is not just a random number. This is the company’s fourth-generation console, not including the various iterations of the other consoles it has released. For gamers, this means the console comes from a manufacturer they can trust. Sony’s new console exists in a space where there are only three major players: itself, Microsoft, and Nintendo. The Xbox One launched a week after the PlayStation 4, but the Xbox One’s $500 price tag puts it a full $100 over the $400 PlayStation 4. Nintendo’s Wii U Nintendo Wii U Review and Giveaway Nintendo Wii U Review and Giveaway Despite the increasing shift to mobile gaming, consoles are still very popular devices for playing immersive, graphics-intensive games; and that won’t change anytime soon as long as the major console makers continue to improve with... Read More is on an entirely different level, with far less raw power and an even lower $300 price tag. Still, it’s an option for gamers to consider, especially with its latest Mario game hitting the market at the same time as these two new consoles. Before we jump too heavily into the actual review of the console, let’s take a moment to talk about what the PS4 has under the hood. After all, part of ushering in the next generation is experiencing just how much power the console can put out. Processor: The PS4 comes with two quad-core low power x86-64 AMD “Jaguar” modules. There isn’t much the processor can’t handle, but it will all come down to how game developers use it. Memory: 8 gigabytes of GDDR5 RAM is included, which is the among the highest performing memory on the market. HDD: 500 gigabytes user-upgradeable hard drive. GPU: For graphics, the PS4 has a 1.84 TFLOPS, AMD Radeon processor. Like the CPU, there is nothing this beast can’t handle. AV output: The PS4 includes HDMI out and optical out for audio. Optical Drive: The drive can handle both Blu-ray and DVD (music CDs are not supported). Communication: For connectivity, the PS4 supports ethernet and 802.11 b/g/n Wi-Fi. It also has Bluetooth 2.1+EDR for communicating with its DualShock 4 controllers. Essentially, the PS4 features a very high-end gaming PC tucked inside of it. For anyone familiar with computer specifications, it’s easy to see that the PS4 is fully-loaded. The PlayStation 4 comes in a surprisingly small box, especially when compared to the Xbox One. In fact, it looks more like the box you might find a laptop in, not a high-end video game console. That’s not a bad thing though, as there is nothing wrong with conserving some cardboard. Once you open the box, you will see the documentation you need, a controller, the console, a headset, the power cable, the controller’s microUSB cable, and the HDMI cord. You will notice that, unlike the Xbox One, the camera is not included and is available for $60 as a separate purchase. Even with the camera, that still puts the PS4 $40 below Microsoft’s offering, which is a very appealing proposition for gamers. Overall, I was very happy with what I saw when I first pulled the PS4 from its box. The console itself is beautiful (which we will get to later), the controller feels good, and it’s clear that Sony took care to make everything exciting for gamers taking this home for the first time. Before we jump too heavily into playing games on the console, let’s talk about the hardware itself. To put it simply, the PlayStation 4 is the nicest-looking first iteration of a new console I have ever seen. Typically, the first iteration of a console is big and bulky (like the Xbox One), leaving extra room for heat dispersion. The PS4, on the other hand, is actually quite small and sleek, and it looks fantastic on the entertainment center. The PS4 is 12 inches wide, 2 inches tall, and 10.8 inches deep. Next to the Xbox One, it’s tiny. While not necessarily a deciding factor between the two consoles, for gamers living in small spaces where room for electronics is at a premium, it’s certainly something to consider. The slanted front and back create sleek lines, and the simple dark colors look incredible. Just based on looks, there is nothing negative to say about the PlayStation 4. You can clearly tell that Sony is a company that specializes in building hardware, as it knocked it out of the park with this console. 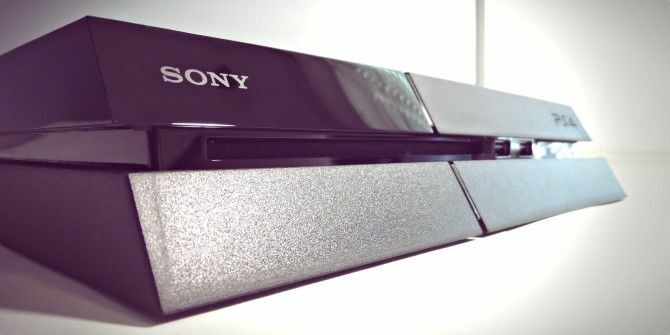 Sony has taken some great strides in improving its UI over the PlayStation 3. This is good, because myself and many other gamers found the PS3’s interface to be a little clunky, and it certainly needed some improvements. That being said, the new UI still has some glaring flaws, and some aspects that feel a little disorganized for an interface developed in 2013. Let’s start with the good stuff: mainly just how fast the interface is. Everything you do on the PlayStation 4 is insanely snappy. Pressing the PS button in the middle of the controller instantly suspends the current game or app and brings you back to the home screen. I was blown away with just how quickly this happened. It’s a small thing, but compared to the clunky nature of switching around in the PlayStation 3, it’s clear Sony really thought about how to make this work. Finding the app you want is pretty quick on the PS4, at least for now. However, the fact that it just populates a giant list of everything on your console will make things difficult once more games are available. It’s not really any worse or better than the PS3, but with many gamers opting to go digital with their purchases, it could make searching a clunky process, but as with the PS3 and Xbox 360, the UI will go through plenty of changes and improvements over time. One thing I am really not a fan of is the store, which feels more like you are browsing a website than a dedicated store on a $400 console. It feels very poorly thought out. The layout hasn’t evolved much, and it could certainly use some enhancements; especially since most gamers will resort to buying new games from the digital store. Again, it’s something that can be improved with a firmware update, but for the time being, the store needs some serious work. Sony offers the ability to navigate the console using voice commands, either with the included headset (which feels cheap and is not impressive) or through the PlayStation Camera. While not anywhere near as robust as the Kinect functionality on Xbox One, it works well, there is just a lot of things you cannot do with it. For example, if something is hidden a couple of menus deep, there is no way to jump to it with voice commands. Still, it was a pleasant surprise, as Sony did not tout its voice functions up to the release like Microsoft did with its Kinect. All in all, the PS4’s user interface is leaps and bounds better than the PS3, but it’s still not great. I expect it to evolve in the next few months or years, but as it stands, some aspects are a little too clunky. I much prefer navigating the Xbox One, especially with the fact that most of it can be navigated almost entirely without touching a controller. The PS4 is an average media player, supporting services like Netflix, Twitch, Amazon, and the other big media streaming services. However, it cannot play MP3s or music CDs, which could be annoying for some gamers. Instead, you may only use Sony’s own music service, which is, of course, an effort to attract more users to it. When you compare it to the PS3, there really isn’t much improvement. It’s clear that Sony is focused on games, while Microsoft is aiming to take over the living room completely. Still, for watching movies and TV shows, it’s a competent device; it’s just not perfect. One cool feature on the PlayStation 4 is the fact that it can stream games over a local network to the PlayStation Vita. This feature is very much like the NVIDIA Shield NVIDIA Shield Review And Giveaway NVIDIA Shield Review And Giveaway Recently, we reviewed the Wikipad, which managed to make its way to market before NVIDIA's highly anticipated Shield. Ever since NVIDIA showcased the Shield at CES, I've found myself more and more fascinated by it. After... Read More , which allows gamers to stream select games from their PC to the portable gaming console. With the PS4, almost every game supports streaming, which makes it feel a lot like the Wii U with its ability to use the second screen as the primary display when someone else wants to use the TV. Of course, the PS4 does not include a PS Vita PlayStation Vita 3G/Wi-Fi Review And Giveaway PlayStation Vita 3G/Wi-Fi Review And Giveaway Today, we'll be taking a look at the PlayStation Vita (specifically the 3G/Wi-Fi model), Sony’s latest entry into the portable gaming space. How will it hold up? Read the review to find out. Plus, we'll... Read More , so a substantial extra purchase is required to take advantage of this feature, and only a select subset of gamers will benefit from this. Still, it actually works pretty well, with only a small amount of input latency. Even in a game like RESOGUN, which requires a lot of fast reactions, I did not find the latency to be an issue at all. I actually walked all the way across my house, and pushed the Wi-Fi range to the limit, and it continued to work very well. There is a problem with this feature, and it’s one that could be a huge issue in certain games. The Vita is missing the R2, L2, R3, and L3 button. To compensate for this, Sony has placed the L2 and R2 buttons on the back touch panel, and the L3 and R3 button are on main touch screen. This is fine for some games, but for shooters, where R2 triggers your gun, this is less than optimal. It would be nice if Sony included options for customizing the controls, but alas, it doesn’t. It’s a cool feature, but with the control limitations, it feels more like a novelty. Sony has developed a fantastic controller for its latest video game console. As someone who has held the firm belief that the Xbox 360 controller is the best video game input device ever created, I was shocked by how much I liked the DualShock 4. My main concern with the DualShock 3 was the stiffness of the sticks, which Microsoft perfected with Xbox 360 controller, The PS3’s controller sticks were too loose, and Sony has greatly improved that in the DualShock 4. In fact, they now have better resistance than the Xbox One, which have actually loosened up compared to the 360. Also, the sticks on the PS4 have been given a nice little recess to helps keep your thumbs in place. The terrible triggers on the PlayStation 3 controller have been improved tremendously. Now they feature grooves that keep you in place, which makes a huge difference while playing shooters. After all, that R2 button, along with the sticks, are the two buttons that you need to press the most with that genre, and Sony most certainly got them right. An interesting novelty on the DualShock 4 is the touch pad, which is not really being used for much right now, but could have some interesting gameplay implications down the road. For cross-platform games I wouldn’t expect much, but for exclusives, it could be exciting. Right now, most games just use it as an extra button, and Killzone uses different swipe directions to choose options for the companion drone. It could easily be done with the d-pad, but the touch pad works well, and can be very accurate. The face buttons and d-pad are almost the same as the buttons on the DualShock 3. If it isn’t, broke don’t fix it; Sony always had solid buttons. The last notable thing about the DualShock 4 controller is the light on the top. By default, it lights up to indicate which player you are on the console, but developers have the ability to change the color to set ambience for their games. The only issue with the light is that it’s very bright, so if you have a TV that reflects light, you can see it on the screen. It’s a small gripe, but when playing a horror game where you turn all the lights off and try to set the mood, it could be an issue. When you buy a PS4, you are buying it to play video games. As a video game console, the PS4 is a fantastic device. While the launch lineup leaves much to be desired, you can clearly see the potential, especially from a visual standpoint. For PC gamers who have been playing games on Ultra settings in the last year, nothing about this will be very new, but for someone migrating from a PS3 to a PS4, the differences are immediately apparent. That native 1080P resolution really does make a huge difference. As I mentioned previously, the DualShock 4 is a fantastic controller that works incredibly well for playing games of all sorts. It feels incredibly comfortable in your hand, which lends itself well to long gameplay sessions. For most of our game testing, we played Killzone: Shadow Fall. It looks absolutely incredible. The amount of detail like characters’ faces is insanely impressive, and when things open up, and you get an extended view of the city, it looks ridiculously good. As far as gameplay goes, well, it feels like playing a shooter. That’s actually a complement, because I never liked playing games in that genre on the PS3, and while playing on the PS4, I felt just as comfortable as I ever felt playing on Xbox, which is as good as it gets for me. Side by side with the Xbox One, the PS4 is just a more powerful gaming machine. A quick look at the specs and you will see the difference. However, to the untrained eye, it’s hard to tell the difference between the games. Sure, some Xbox One games don’t run at 1080p, but they still look incredible. Either way, you are getting a fantastic console for playing games, but for people who want the best of the best from their hardware, there is a difference, and the PS4 comes out in front. As you would expect from a modern video game console, the Internet plays a huge role in the experience. Whether it’s playing games online or streaming games to Twitch and Ustream, Sony has taken great strides towards improving the implementation of its online functions. Of course, playing online is no longer free, and a $50 PlayStation Plus subscription is required. Starting with playing games online, Sony has finally reached feature parity with the Xbox 360 in that you can now join a friend’s game directly from your friends list, and create game-independent party chats for up to eight players. Microsoft, for its part, seems to have taken a huge step backwards in terms of online gaming, but we will get to that when we review the Xbox One very shortly. Overall, playing games online with the PS4 just works, and there really isn’t much more you can ask for. The new “What’s New” section is also quite cool, allowing you to see, at a glance, what is happening with your friends across the PlayStation Network. Think of it like a Facebook news feed for you gaming life. It’s a neat thing to have, but at the same time, it’s a little cluttered, especially if you have a large number of friends. Speaking of which, Sony has increased the limit for friends to 2,000, which seems excessive, but for people in the games industry, this is a welcomed change. The problem with this massive boost in friends is that there is no good way of organizing them. So if your list contains more casual acquaintances than gaming partners, drilling down and finding them will take a while. The addition of sharing your real name with friends helps, but of course, they need to accept your name request to actually show up on your list in this way. One thing Sony absolutely nailed is the functionality of its “Share” button. When clicking this, users can quickly record a video clip of themselves playing and send it to Facebook, capture a screenshot and share it to Facebook, or even quickly start streaming. When it comes to streaming, it doesn’t get any easier than on the PS4. Once you’ve stored your credentials, it’s as simple as pressing “Share,” clicking stream, and naming your stream. You can even pin the chat to the side of the screen so you can interact with viewers. It’s incredibly well executed, and Sony gets a huge leg up here in my book, as Microsoft pushed Twitch streaming back to 2014 on the Xbox One. All in all, PSN is not perfect, but it’s a huge improvement over the PS3, and it can only get better with time. In the end, if the PlayStation 4 is one of the three video game consoles we are going to be using for the next seven years, I am quite alright with that. Sony has laid a fantastic foundation with which it can build on over the course of this generation. Its UI has some clunky issues, but they will be fixed with patches. From a pure hardware stance, Sony knocked it out of the park, and that’s really all you can ask for from a video game console. Explore more about: MakeUseOf Giveaway, PlayStation 4. Everyone tells me PS4 is the bomb! Have always liked the Playstation since I had the original. Wouldn't mind the upgrade. I would choose the Xbox One. I would pick the PS4. I'd pick the Playstation 4 because it looks amazing! I would love the PS4!!!! PS4, though I'll have both eventually. The last day!! hope to won! Very complete review! I like it! If I had to pick only one, I would go with the Xbox One. Overall, my gaming sons are split 50/50 but I like the PS4 myself. There is no question I would choose Playstation 4! They both have their perks, x1 is better for media and ps4 is better for gaming; at least that is how I see them. I have to go with the PS4 this generation. I have a PS Vita also, so that helped with my decision. Playstation 4 is my choice! The PlayStation 4 is a better improvement than the Xbox One is. Playstation 4 for my family! Without a doubt, PlayStation 4 is what I would pick. I haven't had a console in a long time. My last one is a wii. I do have spent time playing both Xbox and Playstation in the older models at friend's houses. I would definitely have to say the PS4 is the superior one and the one I hope to win! Your response here! I'd like to win, please! PlayStation 4 for Sony brand and sleek design! Playstation 4 - it's all about the games. Ps4 please.birthday is January . PS4 - what a question!!! Tough choice. Really tough. I would get the PS4, then later get the Xbox One. PS4 FTW. I've never owned any console. I've been a PC fan. But after looking at PS4, well, that's surely the way! From the sound of pure gaming ps4 is the way to go but either be great and if chosing I'd say prob xbox Sony. I prefer the PlayStation 4 because I played some of the best games on it back in the 90's. Threads of Fate was one of and Tomba! was one of them. Sony knows how to make good game hardware. I don't really know which one i would pick between the ps4 and xbox1. I believe they are both awesome ways to entertain myself. I'm just hoping that the new games will be playable on both consoles. I would opt for Playstation 4! I'd definitely go with the Playstation 4, as I'm more of a Sony fan than a Microsoft fan. Both are good consoles, but I like the Playstation line and games better. I don't play these type of games would probably give it so my son and his family with 3 younger kids who love playing all video games~! Playstation 4 is obviously the superior machine. I want one!! PS4. I like Sony for some reason. My house is split, I myself would pick the PS4. I would choose Playstation 4. Haha I sure see a lot of ps4 adds on here I wonder if ppl are actually are clicking & buying any. Or just trying to win it because there #broke ???? Always been loyal to PS...so, I would obviously pick PS4! I would pick the ps4 for sure! Yes!! I Want it so much!! I would pick PS4 first. I am not picky! I have never owned one, so which ever you want to give me. I would pick the PS4 because I hear and rad in this article that it has way better specifications than the Xbox One. I also have never had a console and would really like this one. PS4, because of the RAM. And because I've always preferred the PlayStations. Of course the PS4. The XBone is overpriced and you need to pay for online. I would take either one. They each have different pros and cons. Hope I win, well good luck guys! I'd be lucky enough to win a PS4. My. Name. Never. Comes. Up. I'd totally pick the PS4. Better games. I would like either, my son wants the xbox one my husband wants the ps4 there is no right or wrong answer! PS4 all the way! I'm not saying I would Never get an X-box One, just that so far everything Microsoft has said and done regarding it makes me have no interest whatsoever. Well Xbox One for Entertainment and Gaming but I'm for Gaming so PS4..
OK, you sold me on the PS4. Plus it will be a change from my Wii & XBox 360. Ps4! Sony has never let me down! I would pick the PS4! Hook me up please ???? I'd rather have a PS4, due to it being more focused on games and the xbox more on multimedia features. I will chose PS4 ! To be honest, I like the PS4 better. Better system, better games, and way better looking. I would want one just for my favorite game Gran Turismo. Playstation 4 without a doubt. I've always been loyal to Sony since PS1 so of course I prefer the PS4. Playstation 4! Only platform I play! I'll choose the modern PS4. Have a xbox 360,,,, will pick up ps4 this time. My son Wilson works so hard and is only 12, so it would go to him if I won. Playstation 4 without a doubt, ever since Spyro and FF7 on Playstation 1 I've been a Sony gamer! Most probably I would pick the Xbox One. PS4 for me! The controllers just fit better in my hands. Prefer the PS4. Most of my favorite games are here. Would probably pick the PS4 ! thank you for a chance! :) Love the review! helps a lot when it comes to this type of stuff, adn knowing more on the gaming systems help us make wiser choices! I'd pick the PS4 since it is more focused on gaming. Both are awesome, but the XBOX One's media capabilities make it shine in the living room. I would pick the PS4 anyday! PS 4 All the way! I would pick the Xbox One. Playstation 4 b/c that's all my kids keep asking for! I've had every PS generation and would love to try the Latest & Greatest! PS4, I've always been a Play Station fan. I've never owned an xbox. Would have to be the PS4. I was never a fan of Sony after the first Playstation, but I'd give this one a try. Microsoft seems to have had too many bad decisions right from the start of this next generation. I like both but I've always had a PlayStation so I'll go with PS4. PS4 - Not too complicated. I like xbox but i will buy playstation 4 because i am familiar with it. Definitely PS4 because of the Dual Shock 4's screen, lower cost, motion controller not included (don't care for it), and fantastic exclusive games. I would definitely pick the PS4 over the Xbox One. PS4 is the best for sure! Playstation 4 - Awesome features! I would pick the PS4 since it is a pure gaming device for gamers compared to the Xbox One which is more of a media center. I grew up playing a Playstation. So I would definitely pick the PS4. Definitely ps4 as its far better than xbox! I would pick Playstation 4! I would pick the Playstation 4 thank you. Never tried PS4, have tried Xbox One and it's awesome but because I'd like to try PS4 I'd choose it. I'm an Xbox guy, but I would love to get my hands on a PS4! I have always been a PlayStation fan. I am not of the Xbox controller. I would definitely choose PlayStation over Xbox. I have't owned a console since my childhood and i am not too rich to afford it . PS4 for ever. I greatly admire this site's generosity of giving away such beautifully crafted and epic tech products. PS4, baby! It's why I'm here! I want a PS4! Love Sony products! Xbox One, but it's more expensive so if I win a PS4 I won't bother getting the new Xbox. First pick would probably be XBox One but I think the Playstsation and Sony's network will lead in game development and distribution. Plus you can't beat Sony's audio-visual expertise. I have always been fairly on the fence when it comes to the sony and microsoft competition but in the case of the Xbox One and PS4 I would have to choose the Sony product. It is cheaper, more powerful machine and supports more RPG games that I enjoy. PS4 is my pick! Both my sons LIVE PS gaming it!! They are dying for one of these!! Thanks for the chance!! PS4 FTW! I have shared the greatest moments of my life with a PlayStation, and I'd love to get a PS4 to celebrate another great moment in my life! My son would really love the PS4 , have the Xbox , Wii & PS2 !!!!! xbox's are way to older......!!!!! PS4, the other is not really an option. The Playstation 4 is the more attractive option for me for several reasons. I would choose PS4 All day! Hmmmm...which one. To tell ya the truth, I would like them both because they each have redeeming qualities about both of them and the games are different for each. So no choice for me, but at the same time I would be happy to have either of them. I mean I have a snowball's chance in hell of winning this, but like they say if you don't enter then you have no chance of winning! So here is to me winning this and getting this as a wonderful Christmas gift for myself!!! I'd choose the PS4. Thanks for the chance to win one. it would be AwEsOmE to own this. PlayStation 4 all the way! Always been a playstation fan. So PS4. i would prefer PS as i am a playstation fan! I'd need to experience both of them to choose one. would love to see what ps4 is like. The first console I ever owned was the PlayStation 2. I fell in love with Sony after playing the PS2, so I would definitely choose Sony over Microsoft any day! looks great, would love to win this one. i'd prefer the PS4 over the XBOne since the hardware/performance is better. I’d prefer PS4 becz i had PS1 and it was very good. Ofcourse PS4. I have PS3 fat and its a strong and reliable machine. I believe PS4 will the same. XBOX one is heavy and has a brick. Thats why its not portable enough. But I can take PS4 to my friends place sometimes just like how i could with ps3. Not sure. I'd probably take whichever was given to me. I'm leaning slightly towards XB1, but not enough to have a definitely favorite. PS4 or Xbox One is a difficult question. However, I think that it'd be the PS4 for me. That could change in the next year though depending on the games that come out. I'd prefer PS4 over Xbox any day. I'l definitely pick PS4 over XBOX one because of its support for 1080p and a more comfortable controller. PS4 is cheaper, sexier, and has faster video RAM for way better performance. No brainer; PS4 all day long. I'd prefer...either one! PlayStation or Xbox are both great systems. I'd be good with either, really. Honestly I would pick the Xbox One. I don't think you could really go wrong either way but if I could only have one I'd go with the Xbox One. PS4 all the way! It has so much more potential for game developers to use than the Xbox One. PS4 all day!! i was raised on playstation!! I would personally go with the Xbox One because it's designed to be an all-in-one solution for your living room, in addition to being more multi-connection friendly and coming from a franchise that's had a slightly better experience overall in my opinion. ps4, thats why i want to win one! I want a PS4! Thanks for the giveaway! Yes it will be very very nice to have one not Ford PlayStation 4 I got the ps3 I love it but the ps4 even better hi I am a single dad with 3 kids it would be nice is somebody out there would give me one of the ps4 good luck to all the winners Florida was that put in for it hope you win. Playstation 4 definitely has the most potential. Definitely the PS4. It's not a brand competition thing, it's purely based on some of the weird stuff Microsoft has supposedly done with the Xbox One. PS 4 ofc. Better machine. PS4 would be nice. Very very nice. Playstation 4. Cheaper. More powerful. 'Nuff said. I overwhelmingly prefer a PS4!!!!! I would pick the Xbox -- try to understand why MS loses money on it LOL!!!!! I like playstation 4..lets do the combat!!! Playstation. I have never tried this platform and would love to. Always found the looks & the exclusive games to be better on Playstation but I do like the Xbox 360 controller better... still havent tried out the new gen consoles... hopefully soon!! PS4 it's more similar at a pc what i use. I would prefer Playstation 4. Friends seem to like it more. No other reason. Of course the Ps4. I really want one! I do like the Xbox One, the way you can interact with it makes it pretty interesting to have it in your living room, but I prefer the game catalog on the PS4 and when choosing a game console that tips the balance. I would choose xbox one. Xbox One. I'm used to Xbox but I'm willing to change... try me. To answer the question, I'd pick the PS4 of course. playstation 4 it's the best.! I'd pick the PS4, for my own reasons I can't expect anyone else to agree with. PS4 as the MS are going to screw up the XBONE. I'm really not that picky, especially if it's being given away! But if I were buying, I'd likely go with Playstation! Playstation 4 because it's for the gamers, baby! Either one would be fine and an upgrade from the nothing that I have now! Ahh... can't I have both? haha... who wouldn't want to have one of those 'game centers' with every console ever created? I have owned a Playstation 2 And an xbox 360. I think I would like to go back to PS2 for a while to play some of the new versions of my PS2 favorites. PS4 over the Xbone for so many reasons. Better specs, not a terrible marketing campaign. I will never support the Xbone for reasons other than blatant fanboyish, which I'm not a Sony fanboy. Also, PS4 gets better, and more, RPGs. Definitely the PS4 over Xbox One. I've owned and always preferred the Playstation series. When I go to a friend's house and play the Xbox, there is always some disappointment. The Xbox d-pad (that is really one big connected button) feels so clunky, and it's impossible to use when you're used to the superior PS d-pad. I'd pick the PS4 since the Sony consoles tend to get the exclusives that appeal to me. Like the Disgaea and Persona series. And LBP. I like both, PS4 and XBox One, I like games and consoles, both consoles rock! PS4 of course! I've always preferred Sony over Microsoft for gaming. I'm a loyal playstation fan and the PS4 looks great. I definitely like the PlayStation much better. I would choose Playstation as I have always prefered the non-Microsoft game console. PS4 for sure! I wish the best of luck to everyone! I loved the 360 and I want to want an Xbox One but all the added stuff I don't need or would use, so I would go with a PS4. Especially with the Vita integration! I'd pick a PS4 for my grandson. Its going to last for years, his PS2 just died a couple of weeks ago--we can't afford a PS4. Tough call, if I was paying for it, probably the Xbox, since I am a Halo girl. PS4, definitely. Sony's certainly not perfect, but they make great systems. Yes, i would like to win for my lovely son. I really like xbox 360 but I don't really like having to pay for Gold in order to connect to the internet. I would like to give ps4 a try. They are both great systems but I am partial to the Playstation 4. XBox One is the system I would choose. Sure, I'd pick PS4. Have been PS player since 1st generation. Playstation 4!! I want it now!!!! D: Thank you! i need playstation for myself, i need hobbies. i dont have any. It's PlayStation 4 for me. PS4, based on previous PS2 and PS3 experience. Playstation 4! Personally i have found Sony to create the best gaming experience. PS4 for my son. Though an Xbox One will probably join the fray at some point. Hard choice as most of friends are in two different camps. I'm leaning more towards the ps4 though the xbox controller is leagues ahead. PS4 because it has the games I want and seems to have the best user interface. I'd choose PlayStation 4 all the way! I'm a PS4 person in preference to the XBox One - though the latter isn't to be sniffed at. For my sons Zack and Mike. Playstation 4 all the way !! I'll take a XBox One! PlayStation 4 or Xbox One: which would you pick? I'd probably prefer the Xbox 1, but for free I'd love a PS4 as well! I would choose the PS4. Based on my husband's thoughts, the Playstation 4. Based on this review I would choose the Playstation 4. Reality dictates that my son own a Playstation and my daughter an Xbox. PS4 is the bomb. Killzone is better than Halo, Battlefield can actually be run on Playstation, and Sony isn't trying to rip you off another $60 all the time. Ps4 for the win guys. I would choose Xbox One if it can serve as an MC Extender. PS4 hands down. Xbox is a microsoft thing. I like the game focus of ths PS4. I would prefer the Xbox One. It's been Playstation from the beginning, and it'll be them to the end! PS4 all the way! But anyways aside from being a slight fanboy, I do love their exclusives and the controller is nicer to me than the xbox 360 controller. I have a PS3 and I already had a xBox 360. I enjoy pretty much the xbox 360 but PS3 it's on another level, not just by its hardware like the blue-ray but also its UI. However the xbox 360 it was funny to use and I think that its graphics were better and had more resolution on a plasma Tv than the PS3. Although it blowed up with the famous RRoD. Son already has and Xbox One. X Box one because it fits my needs more as entertainment center. PS 4... Don't really care for XBox... Like PS game selection better. Playstation4 over XBOX. Not a MS fan! I heard PS4 was suppose to be better. I've been a Sony loyal fan for a long time. It's PlayStation for me. I would love a playstation 4. I am SONY PS fan. Definitely, I will prefer PS4. Hopefully I will not have to choose and I can have both. We will need to see which one turns out to be the better of the two when I can play them. I pick PS4 only because its cheaper. Either would work - right now both are at par for me. PS4 would be a great Christmas gift for the family! Thanks! Doesn't matter to me. I think both are HOT! Im an Xbox kinda guy so Xbox One! The Xbox One is a cool idea but not really my thing. I'm a dedicated Sony fan anyways and the PS4 is awesome so I'd have to choose PS4!